Are you looking for that perfect rug to add that special touch to a room in your home ? Tired of going store to store to find just the right one? If so I have the perfect solution for you ! Rugsusa.com is an online store that carries a large variet y of rugs in all sizes, shapes, styles and colors ! I recently received a 3'x5' Silver Grey Flokati Rug from RugsUSA that worked great in my 13 year old sons room. He likes it because it is super soft and he likes lounging on it. I like it because it works with his decor perfectly !
" These beautiful, hand-woven, high-quality Flokati rugs are 100% pure wool, made the same way they were made centuries ago in the Pindos Mountains in Greece. Thick and plush, these rugs provide a springy pile and a luxurious comfort that will last for years to come. Flokati rugs are composed of all-natural, completely organic fibers, making them ideal for children’s and teen’s rooms, plus their thick insulating properties help beat back some of the noise for apartment dwellers. Available in Silver Grey, Milk Chocolate, Duck Egg Blue, Dusky Rose and Natural." 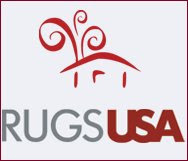 RugsUSA.com, America's on-line area rug superstore for braided rugs, outdoor rugs, Flokati shags, cotton rag rugs, leather rugs, modern rugs, children rugs, Oriental and Persian rugs, and a wide range of accessories for the home. We offer big discounts on America's leading brands, including Shaw, Oriental Weavers Sphinx, Milliken, Safavieh Carpets, Momeni, Mohawk, Couristan, Colonial Mills, Capel, Home Dynamix, United Weavers, Feizy, Rug Market, Homespice Decor, KAS Oriental, Balta, Radici, 828, and rug pads, hall runners, and stair treads by Surya and many more. Rugsusa.com has the rug your looking for ! And the best part is they are at a price that's affordable. Rugs USA goes beyond just rugs, featuring other home decor, such as lighting, bedding, art and much more! Buy : Visit Rugsusa.com and find the perfect rug for your home ! Make sure you check out their large clearance section HERE also! A 3'x5' Silver Grey Flokati Rug ! Winner has been emailed, you have 48 hours to respond. Looks so soft! They have a great selection. I also like the Fun Rugs Funtime Collection Country Fun Multi Kids Rug. Thanks! I like the Safavieh Anatolia Collection Anatolia 530a Gold Rug. I would also like the Fun Rugs Olive Zoo Rug. I love the Chandra rug! The United Weavers Manhattan Tuscon Rug is so beautiful! I really like the Colonial Mills Lincoln Braided Rug in the beige multi color. This rug is gorgeous! I also love the cotton jersey shag rug for a kid's room. Love how you can search by color, so handy! the Country & Floral Wool Handmade Fleur Soleil Ivory Rug would fit in perfectly! I really like the Momeni Comfort Shag Collection Comfort Shag Red Rug. Momeni Delhi Collection Delhi 22 Black Rug is very cool! The Dalwyn Tweens is my fav!! I like the Chandra Ultra kids cotton jersey shag rug! Very cute! I love the Learning Carpets Around Town Giant Road Rug- my 2 yo would love that! I also commented on the GOGO Babyz stroller giveaway! I also commented on the Giggle Bugs giveaway! i like the Harounian rugs rainbow collection 6 lavender rug. very pretty. Contemporary Wool Handmade Fusion Pink Rug is awesome. But the grey one you have is awesome, also. I'd choose the Safavieh Tibetan 100 Series Collection Greek Key Brown Rug because I'm a Grecophile! I have a flokati rug and I love it and I'd love to have another one for the guest room! Love Flokati rugs. I would love to have this rug for my living room. Thank you. The Traditional Wool Maria Beige Rug is beautiful! Thank you. United Weavers Safari Dragon Luck. Thanks. I like the Handmade Wool Zebra Print in Black/White rug. I like the Homespice Decor Cotton Braided Collection Sunflowers Yellow Rug. I am in love with the Momeni Serengeti Collection Cheetah Brown Rug! I like the rizzy Rugs Swing. I think that would make a great accent to our living room. I also like the Home Dynamix Kidz Image Collection KI008 Strawberry Pink Rug. The Home Dynamix Premium 7069 Rug--it would go well with my toile items. I like the Learning Carpets Around Town Giant Road Rug. I love the Oriental Weavers Sphinx Generations 544 Rug. I like the Safavieh Soho rug. I like the Rug Market Butterfly Garden Lime Rug. My daughter would LOVE the Chandra Rugs Ultra Kids Cotton Jersey Shag Rug in aquamarine! I would love to have an Oriental Weavers Sphinx Generations Collection 1527X Beige Rug. i like the dalwyn tweens! I'd also like the Dalyn Tweens TW1 Rug! love the Dalyn Sportstime Football Field Rug! I love this rug, but also like the Couristan Dynasty Collection All Over Persian Vine Red Rug shown on the site. Thanks for posting this! I love their Contemporary Wool Handmade Columns Black Rug, beautiful! Thank you! The Rug Market Block Party Collection Lei Garden Green Rug and the Kas Oriental Catalina Collection Orchid Paradise Black Rug are my favorites-I love them! I would like the Country & Floral Wool 437 Black Rug. I love the Oriental Weavers Sphinx Kharma Collection Thanks for the opportunity to win. I've never seen such a huge selection. I could spend all day just perusing... but while I'm dreaming I would love the Momeni New Wave Collection Nw37 Multi Rug right next to my imaginary George Nelson Marshmallow Sofa. In similar colors of course!!! August 9, 2009 at 11:43 AM This comment has been removed by the author. This one is beautiful: Foreign Accents Festival Collection MCM2499 Blue Rug. I like the Kas Oriental Kidding Around Springtime Fun Rug. I also like the Kas Oriental Kidding Around Princess Dreams Rug. I like the Bowron Constellation Collection Stella Java Rug. August 11, 2009 at 7:40 PM This comment has been removed by the author. 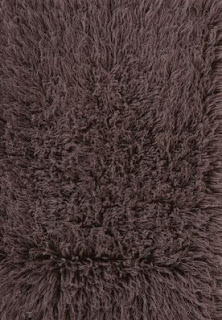 I love the OHNO America Love Fur Collection Love Fur Mocassin Rug in Cotton Candy! So pretty and soft! Thanks! I also like the Learning Carpets Around Town Giant Road Rug. I've been wanting to get one for my 2 year old. Thanks for a fun giveaway. I love the Kas Oriental Signature Prisms Rug. its a fantastic rug! I like the Contemporary Handmade Sila Rug! Country & Floral Wool Handmade Fleur Soleil Ivory Rug is beautiful. I LOVE the Trans Ocean Seville Tiger Rug. I also like the Central Oriental Royal Bouquet Rug. Please accept my entry. Thank you. I really like the bright colors in the Capel Provencal Collection Poppy Rug. I would love to have any of their rugs. thanks for providing a great resource. your site is one of the best, and i will definitely refer it to my site visitors.